LOW MILES - 47,173! FUEL EFFICIENT 39 MPG Hwy/41 MPG City! Navigation, Sunroof, Heated/Cooled Leather Seats, Back-Up Camera, iPod/MP3 Input, Satellite Radio, Hybrid, WHEELS: 19 POLISHED ALUMINUM W/PAINT... RETRACTABLE PANORAMIC ROOF, MULTI-CONTOUR FRONT SEATS W/ACTIVE MO... SEE MORE! Leather Seats, Navigation, Heated Driver Seat, Heated Rear Seat, Cooled Driver Seat, Back-Up Camera, Hybrid, Satellite Radio, iPod/MP3 Input, Bluetooth, Remote Engine Start, Dual Zone A/C, Blind Spot Monitor, Cross-Traffic Alert, WiFi Hotspot MP3 Player, Keyless Entry, Steering Wheel Controls, Child Safety Locks, Electronic Stability Control. RETRACTABLE PANORAMIC ROOF, THX II BRANDED PREMIUM AUDIO SYSTEM 14 speakers, MULTI-CONTOUR FRONT SEATS W/ACTIVE MOTION 11-bladder, WHEELS: 19 POLISHED ALUMINUM W/PAINTED POCKETS Pockets are painted Dark Tarnish color. Edmunds.com explains It`s quiet and comfortable thanks to a standard adaptive suspension and active noise cancellation in the cabin. 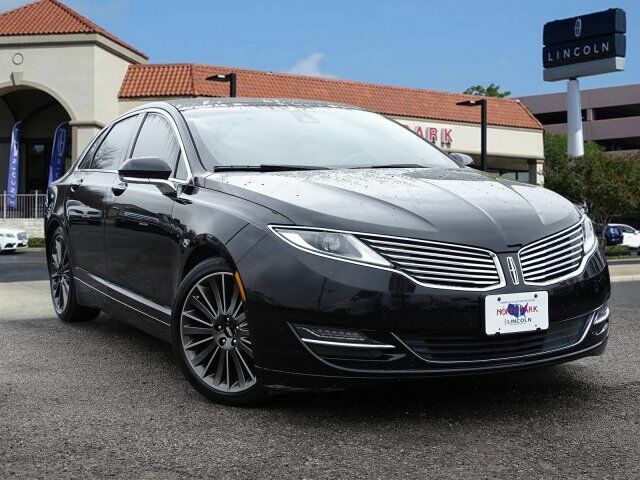 Simultaneously, the Lincoln MKZ feels taut and composed when you`re driving it on a curvy back road.. Great Gas Mileage: 41 MPG City.